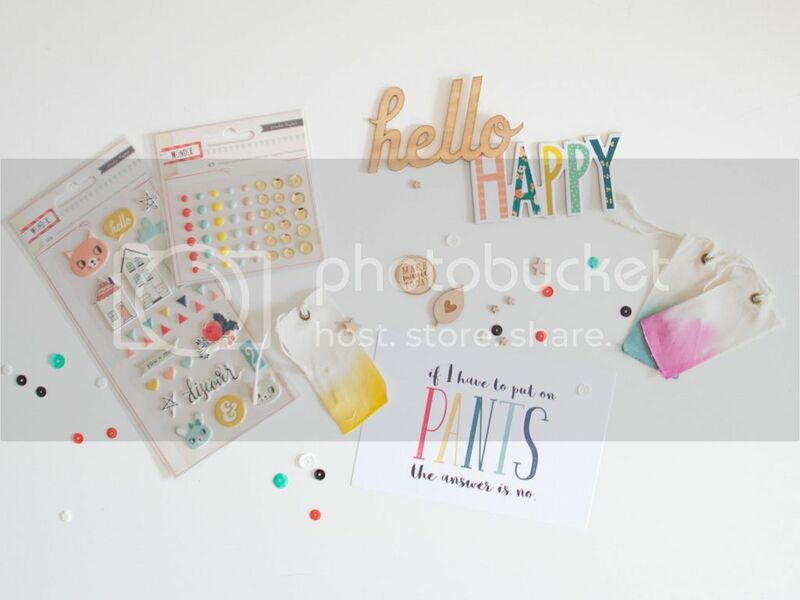 Three Quick and Easy Cards with the Gossamer Blue [September Kits]. I already shared my favourites from the kits on Instagram a while back (below is the picture, in case you missed it. And even if not, isn't it pretty to look at? ;) ) but to be honest, I could have shown you almost the complete kits because it was really difficult to pick just a few favourites! 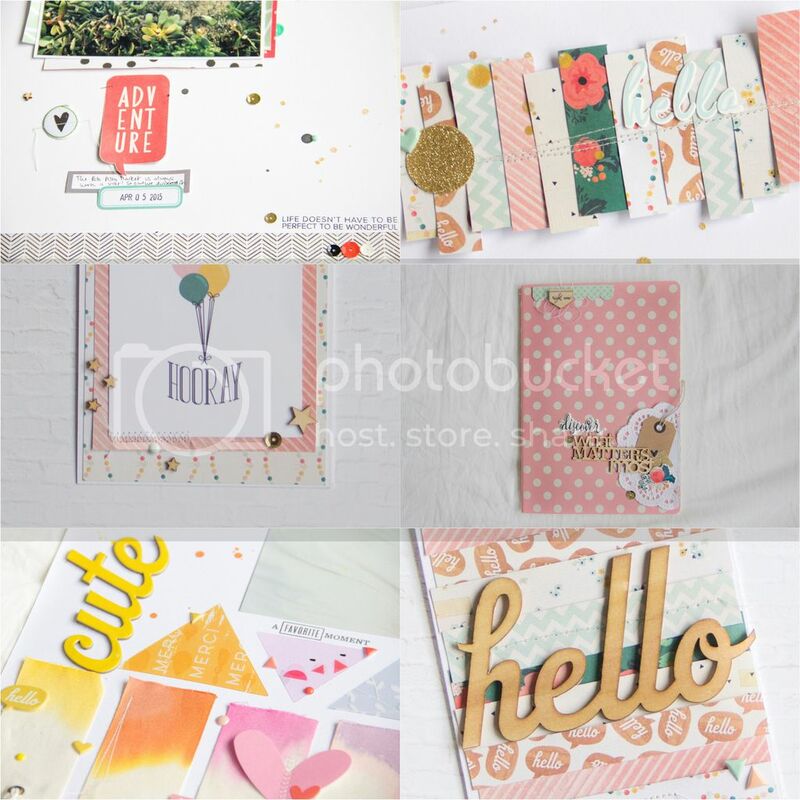 This time, I got the Scrapbook Main kit, the Life Pages Main kit, the Life Pages Themed Add-On and the Bits & Pieces kit. I can't really tell which one was my favourite because they all worked so well together. While I am normally more of a layout (and the occasional mini album) person, I have been drawn more and more to making cards in the past few months. 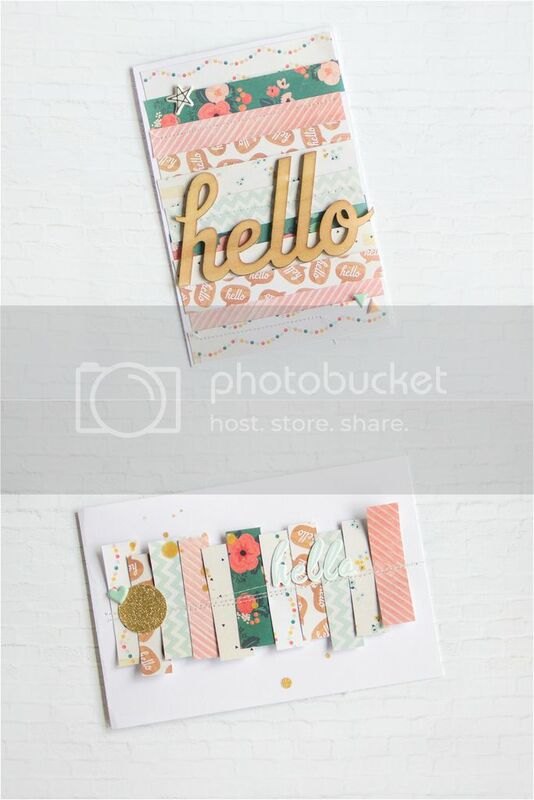 This month I actually made three cards before I got to work on a layout.. They are quite simple but really cute nevertheless. For all of them I used papers from the 6x6" Wonder paper pad from the Bits & Pieces kit as the main element. I like the way those three cards look together. 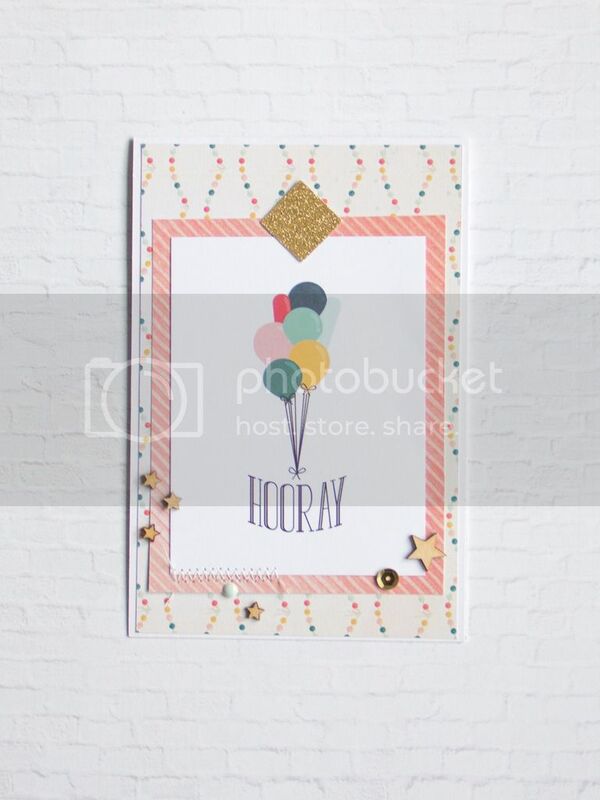 For this one I also used the pretty "Hooray" card from the Life Pages Main kit and I think it fits the colours of the "Wonder" collection perfectly. If you have a look at my sneak picture again, you will notice that I haven't shown you all of my projects today. Well, on Thursday I will show you two more but the last one I have to keep to myself until the 22nd of September, which is the day it will go live on the Gossamer Blue blog.